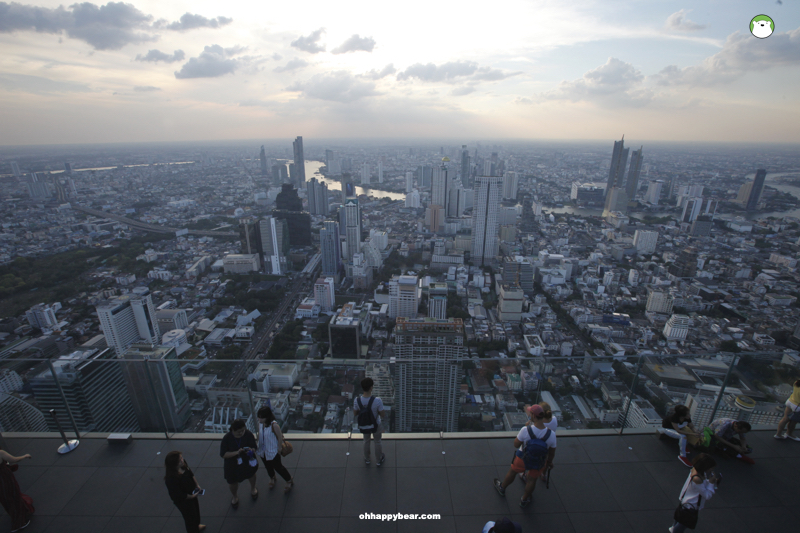 Above: A view from the top deck of the King Power Mahanakhon Skywalk. Open daily: 10.00 – 24.00. A ticket is now Bt765 per person until January 31, 2019. After that, the fee will be Bt1,050 per person. 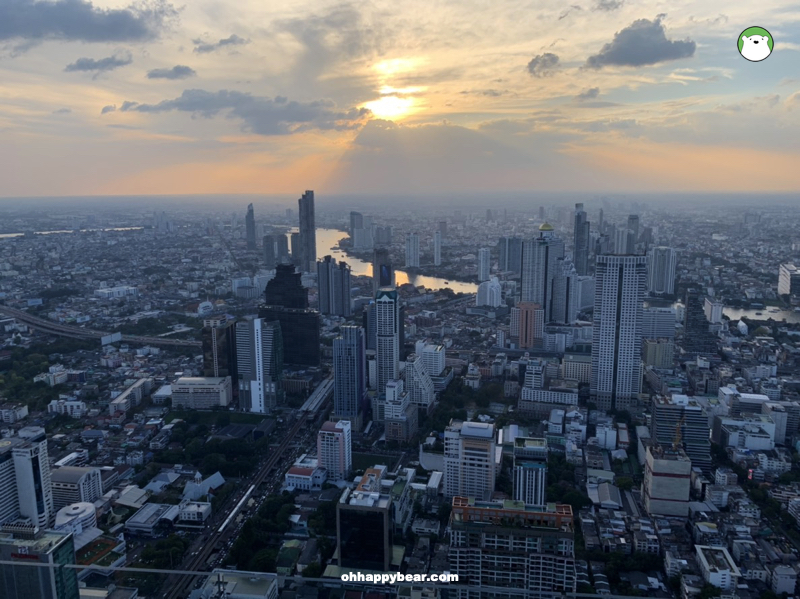 The best time to visit the King Power Mahanakhon is maybe about an hour or two before the sunset (16.00 or slightly after). 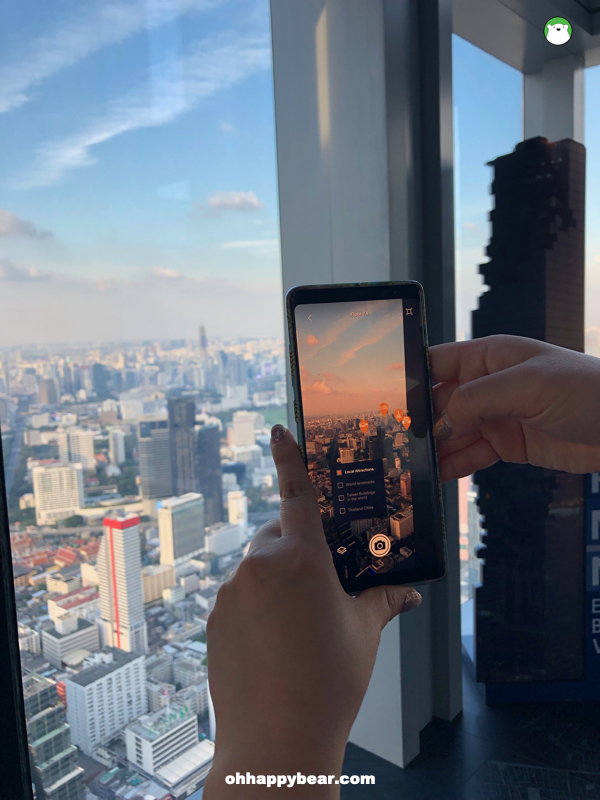 Because then you can be at leisure, if you want, and explore the views on the air-conditioned observation deck on the 74F before going up to the rooftop – four stories above – and have a killer selfie, again, with the sweeping views. This indoor observation floor, with its all-glass wall-to-ceiling, features the tallest postal box in Thailand (with a replica of Thailand’s very first Victorian-style postbox at the establishment of Siam’s Department of Mail back in 1883 by King Chulalongkorn or King Rama V). The postbox is functioning; you can buy a pre-postage postcard available and send your best and highest wishes away. 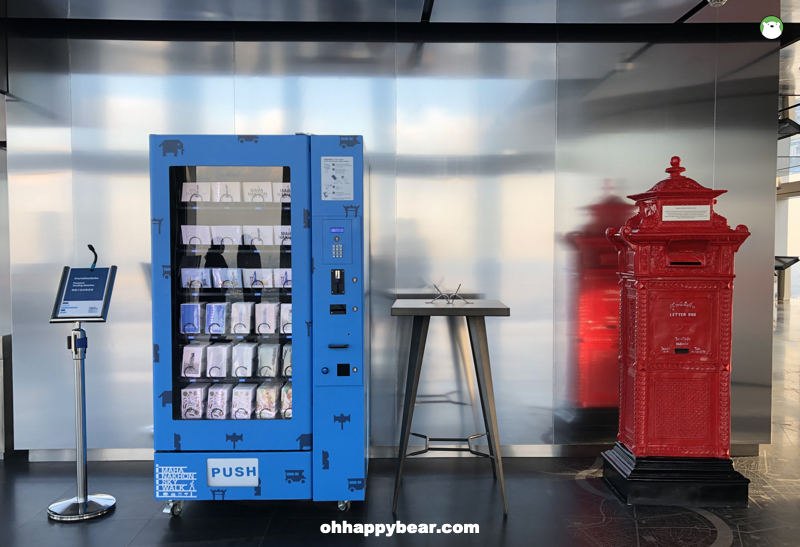 Above: The functioning replica of Thailand’s oldest postbox along with vending machine for pre-postage postcards (Bt40 each). There’s also free Wifi on the 74F. Also super fun and informative is their Augmented Reality Application to download and use your cell phone to point along to the views and see which building is which with the story and all. 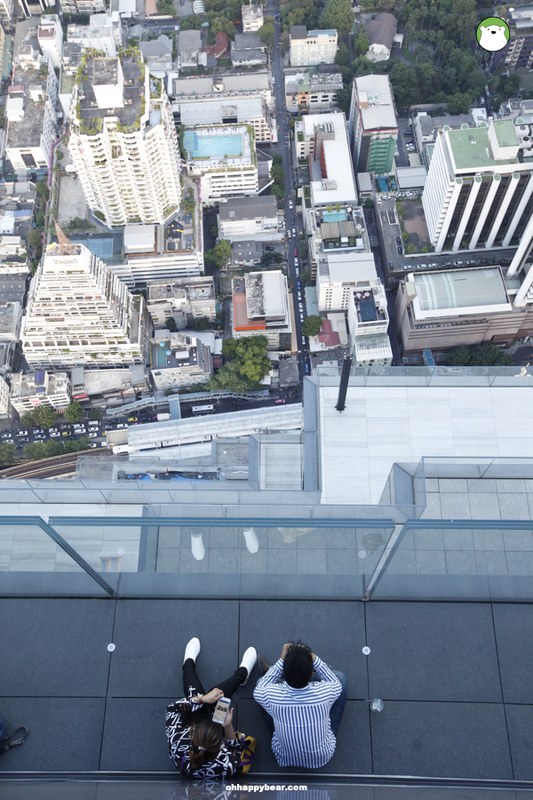 This can take you several minutes to walk around and see Bangkok in all degrees at this height. This 74F is a one-time visit only, though. Once you take the escalator up to the 75F – where bathrooms and glass-elevator are located – you can not come back down again. Above: Once you download the AR app, you can point your phone and see which building is which and which area is which, which is all awesome. The highlights of the King Power Mahanakhorn Skywalk is, of course, the open air 78F that are sectioned into perhaps three areas. 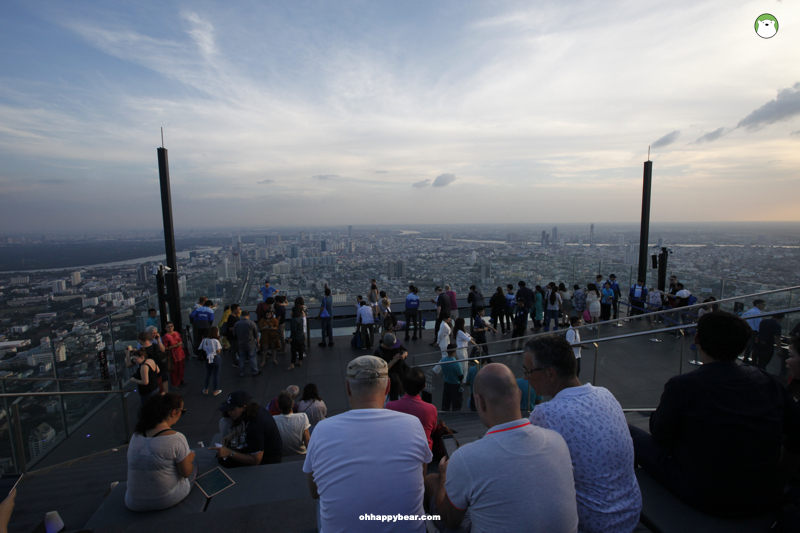 This is now Bangkok’s tallest observation deck – 314 metres above the ground, compared to 249 metres of the Dome at Le Bua, and the 61F at Vertigo Bar at the Banyan Tree Bangkok. 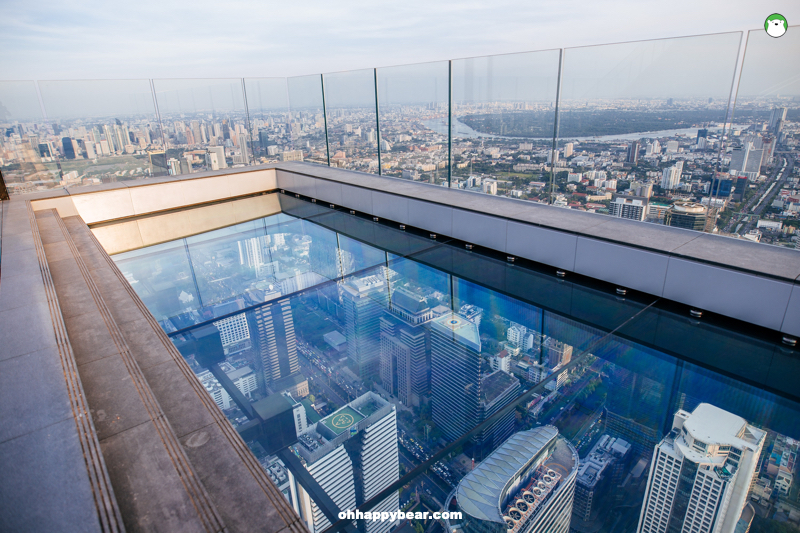 Above: The Skywalk glass tray – 63-Sqm and all, is one of the world’s tallest and largest glass tray available. The good news for those, like me, with a serious acrophobia, is that there are still plenty of other good areas you can take beautiful pictures. If you can elbow your ways through the lines of tripod huggers who have been there for hours, that is. 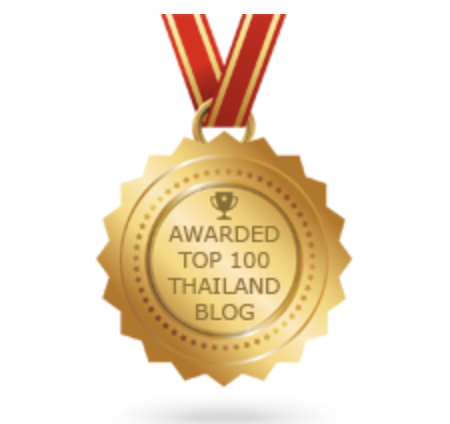 From this vantage point, I see as far as Bang Krachao – Bangkok’s still-preserved all-green lung. 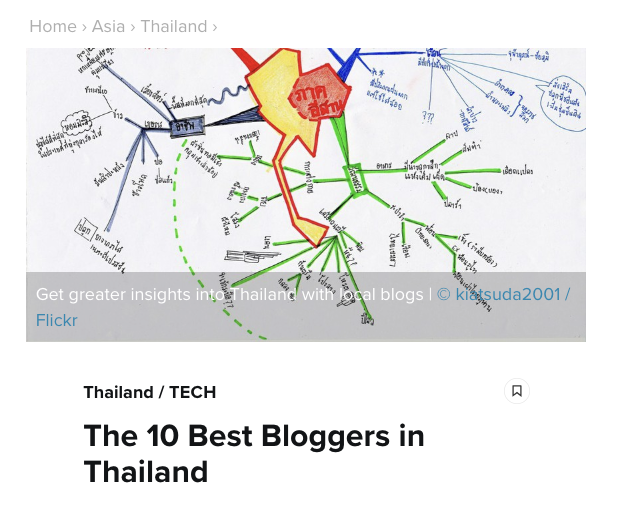 On the other side, I see a long winding stretch of Chao Phraya along which are newer and higher developments, slowly replacing the original communities. Also, I spot the further away Lumphini Park – Bangkok’s first and still lushest public park that has been opened for public since the year 1925 in the reign of King Rama VI. Walking around and see Bangkok at this height is a wonderful experience, even for a native like me. Above: The hydraulic glass elevator that runs from 75F to the top 78F. The spiralling stairs are good for the way down, too. Above: A couple enjoying their own personal cozy corner. 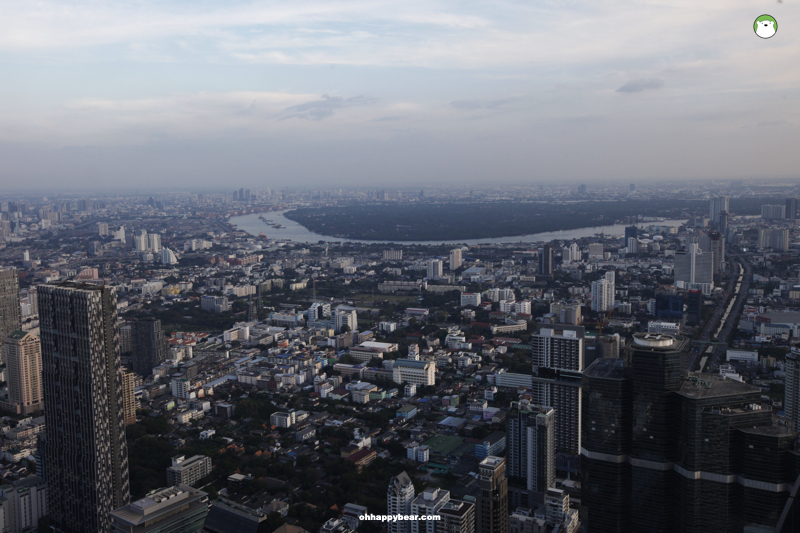 Above: The grand bend of the Chao Phraya river that envelops Bang Krachao – the so-called Bangkok’s lung after its preserved natural lushness. 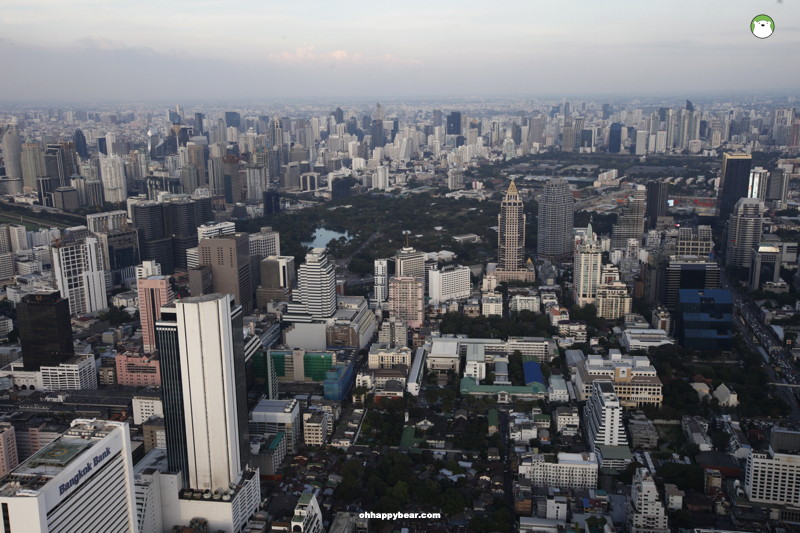 Above: Bangkok’s Lumphini Park that provides the much-needed green space for the inner Bangkok CBD has been open since 1925. The upper deck on the 78F is the ‘Rooftop Bar’ area. Steps are covered with seating cushions at sundown. And those sitting on the top two levels are required to order alcoholic drinks. Those who choose to seat on lower levels can pick any drinks. The drinks here start at Bt160 for an iced tea or Bt180 for a juice or a local soda. A local beer starts at Bt270. 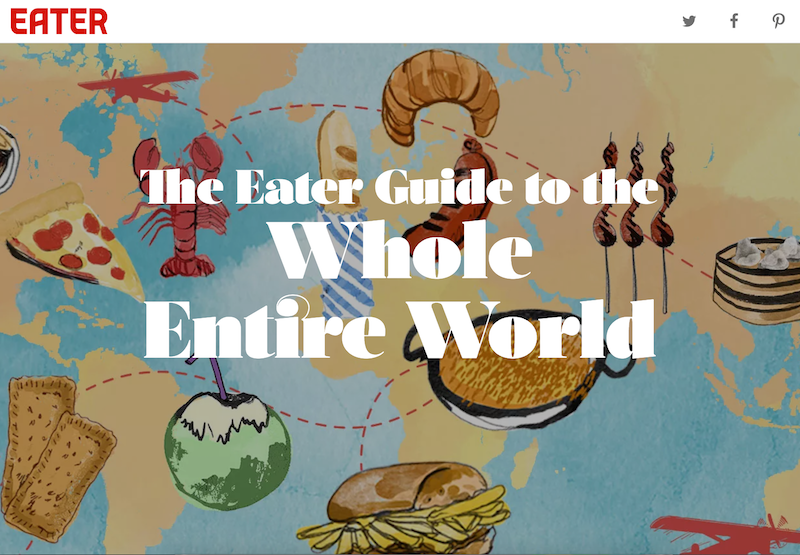 And the prices are net. And they serve the drinks with paper straws which is awfully environmentally-considerate of them. Above: Steps at the ‘Rooftop Bar’ where one can order drinks and enjoy watching the views. To get down from the roof, take the elevator or the spiralling stairs (and stop to take more photos) to the 75F where a high-speed lift will take you down to the four-storey King Power Mall. Some people might find this bothersome because you will have to walk through and take the escalator down four times before reaching the ground floor. But for those into shopping, this can be a heaven. Many of the duty-free goods here are blue-tagged, meaning you need no boarding pass to purchase, but still get the tax-free benefits. And discounts, some as much as 30%, are super tempting :D. This duty-free section is open for all, you can come here just to shop without needing to go up to the Skywalk. 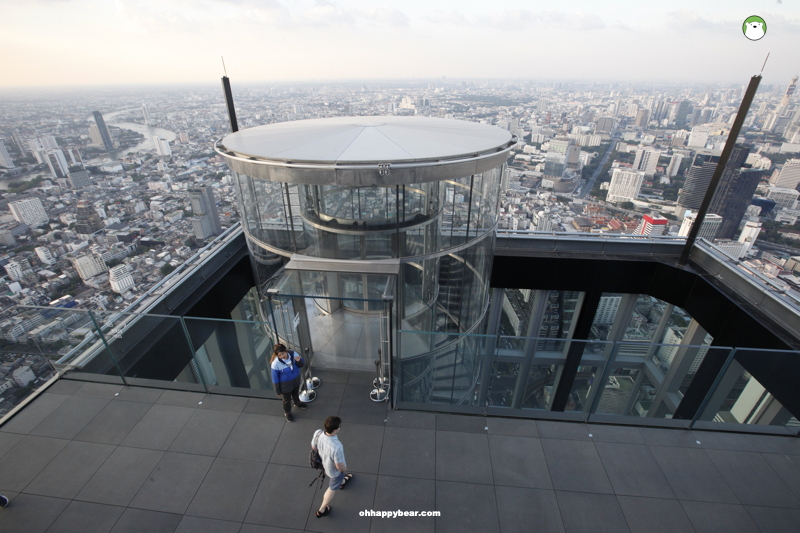 For more information about the King Power Mahanakhon Skywalk, visit their Facebook here. 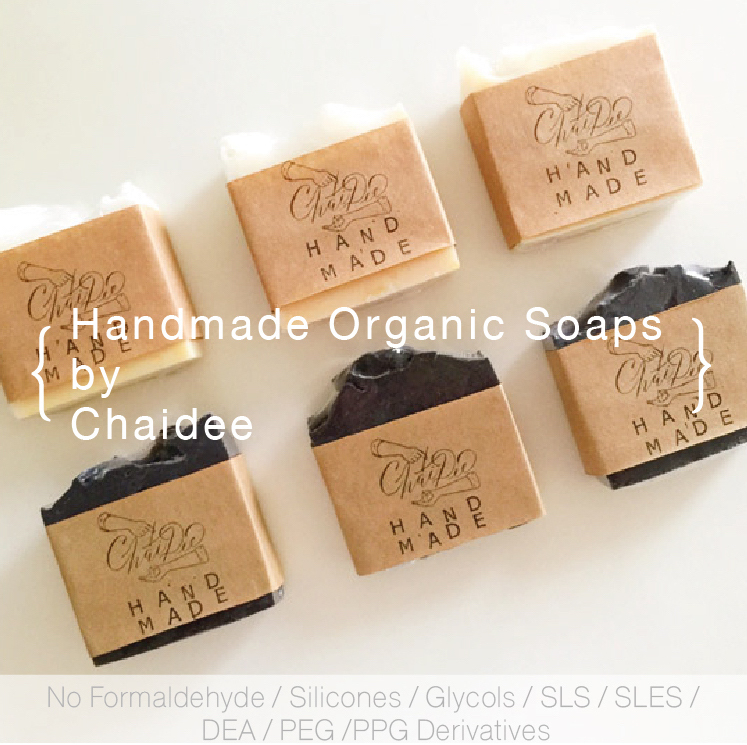 Or their website here.